Barter Books : Eddy, Nelson; Powell, Eleanor : Rosalie. Cinegram No 26. 220 x 150 mm (9 x 6 inches) - 16pp. G: in Good condition without dust jacket as issued. 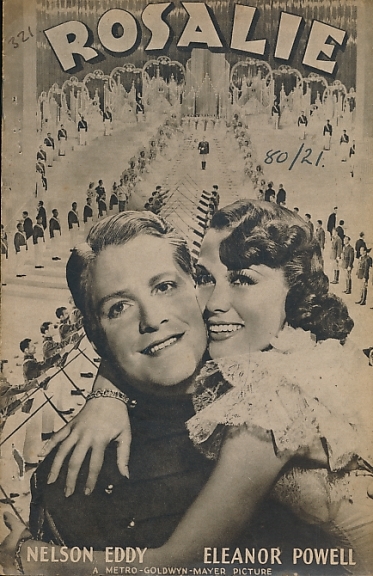 Cast, story and stills from the 1937 movie. Consolidated shipping: This is the cost of shipping this one item. If you are ordering other items, the shipping cost will be consolidated. As you add items to your shopping basket, you can go to your basket at any time to ask it to calculate the consolidated shopping. To submit an enquiry about this book, please click here.